It’s been almost two weeks since we returned from Thailand, and at least half that time was spent in a jet lag fog, and the rest getting back into the swing of work, laundry, and normal household routines. In our final pre-trip post, just before taking off from Boston, we talked about the resources we found most useful for planning the trip. But did our planning pay off? I’m happy to report that it really, really did. We accomplished so much of what we hoped to, and went into this trip with better expectations of how to organize our days. We made it to so many of the sights and restaurants we had on our wishlist. Were there things we’d do differently if we could go back in time? Absolutely. But they were relatively minor, and will help inform our next adventure. The fact is that each time we travel, whether to Thailand or Las Vegas or Guatemala , we learn something new. About the destination, obviously–that’s why we travel–but also about planning, organizing, as well as our limitations and skills. There’s no doubt in our minds that our time in India and Nepal in 2013 helped prepare us for this trip. For a long, overnight flight, plan effectively for sleep. For our flight to Istanbul last year, which left at midnight, we assumed that we’d be so tired we’d just fall right to sleep the minute the plane took off. WRONG. Do you have any idea how loud and intrusive the dinner service is? Despite my eyemask and earplugs, all I could hear for two hours were muffled announcements every 10 minutes, serving carts banging into seats, the clank of cutlery on plates. Needless to say this was not relaxing, and actually made me more stressed out that I wasn’t getting sleep. So for 10 hours, I barely napped. This year, our flight left at around 9:30, and we both stayed up through the served dinner, read books, etc., until we naturally felt sleepy. We slept when it felt natural, and didn’t stress about staying asleep for any particular length of time. Result? We both ended up sleeping at least 6 hours over the course of the 12 hour flight. Not consecutive hours, but still: 6 hours! on a plane! A minor miracle. Get on your new time zone immediately. Arriving in Bangkok at 7AM, after 24 hours of travel, should have meant we were wrecked. But the aforementioned sleeping really helped; we also napped on the second flight (six hours from Doha to Bangkok). After checking into the hotel around 9AM, we showered, and got right back out into the Bangkok sunshine to reset our bodies to our new destination. Other than a very brief 40-minute nap in the late afternoon, we stayed up all day and went to bed at our normal time. If you are traveling within the country, consider alternatives to plane travel. 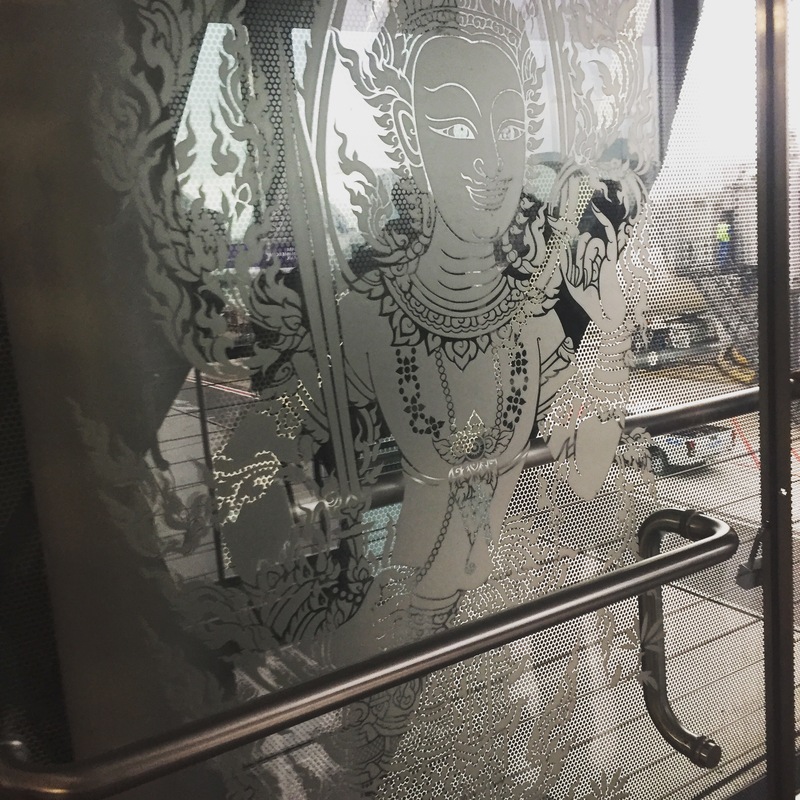 When you’re sitting at home months before planning your trip, that one hour flight between Bangkok and Chiang Mai seems like a no-brainer over the 10+ hour train, especially if your time is limited. However, we keep learning that airports vary as much as countries do, and security and check-in processes can take far longer (and be far more tedious) than you will ever imagine, especially if you’re dealing with carryon luggage (as we do). And don’t forget the time it takes to get to & from each airport, plus the 2-hour pre-flight check in, and that 1-hour flight is now a a 5-hour ordeal…but will feel like 10 hours of aggravation. Don’t book in-country travel too close together. This goes for day-long excursions as well. Flying into Chiang Mai one day, with an excursion booked the next–a 90-minute drive in the back of a pickup truck each way–was not the best planning. We need to remember to build in a free day of being able to walk around, at our leisure, after any type of long, tedious travel. Your tolerance for this might be different than ours, but it’s something to consider. 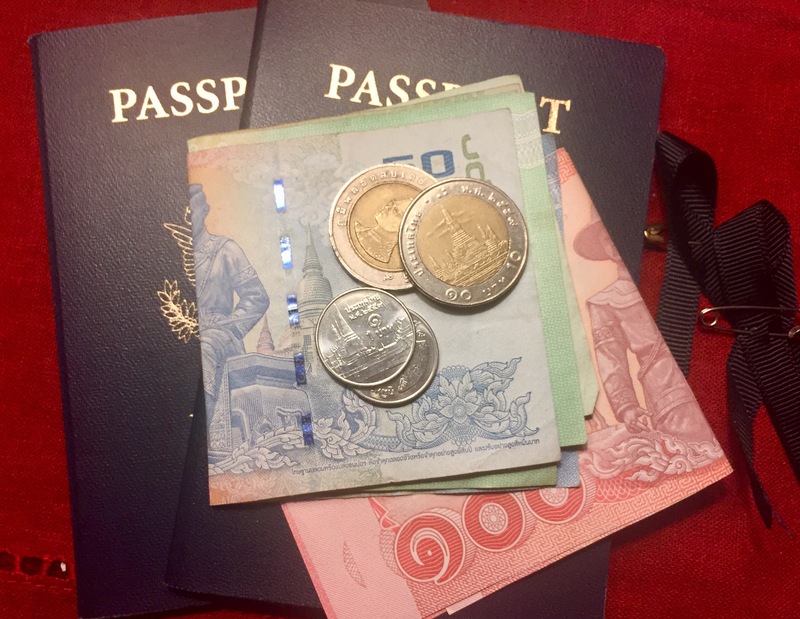 I’m sure there are more tips we’ll think of as we begin sharing the details of our ten days in Thailand. Stay tuned, we have many wonderful photos that will hopefully show the beauty of Thailand. What are your best travel tips? Share in the comments.